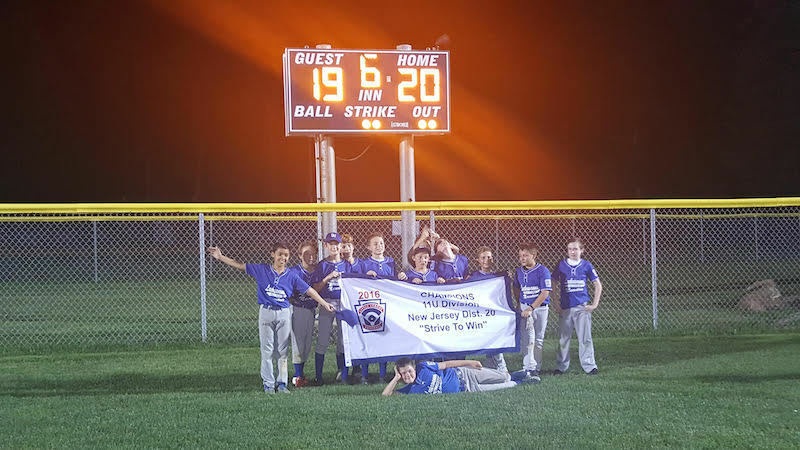 The AGX 12U baseball team led by Coach Jay, is a special part of the Sussex County community. The team, through fundraising efforts, charges their players 1/10th of the cost usually associated with a traveling baseball team, so that their players have the opportunity to reap the benefits of team athletics. The team is really close, and these boys really care about each other. It's so important that teams like this get enough funding to stick around. The life benefits of playing on a team affect so much more than a kids athletic ability or social life, athletics teach them how to accept failure, and how to rise above it. Baseball teaches them to be humble, and be a part of something bigger. AGX recently participated in FlipGive's 2016 TeamShop Challenge, and we couldn't be prouder that these boys walked away with $1,000 dollars in prizes and over $5,000 dollars raised in total! "It's really something to see all that hard work paying off", said their coach. "Our team works really hard to raise funds. We draft up the paperwork, we ask everyone we know. Most of the teams in the area cost way more money than a lot of people could afford, so we decided to create a team that charges a much more affordable rate, and supplement the rest of the fees through fundraising." It hasn't been an easy road, but it's all worth it once those kids get on the diamond. "We were really floored by the support that we received through FlipGive", says Coach Jay. "Our entire community came together to help these kids, and we are so excited for what this next season brings." If you would like to help out AGX 12U click here. Or start your own fundraiser, click the link nelow.